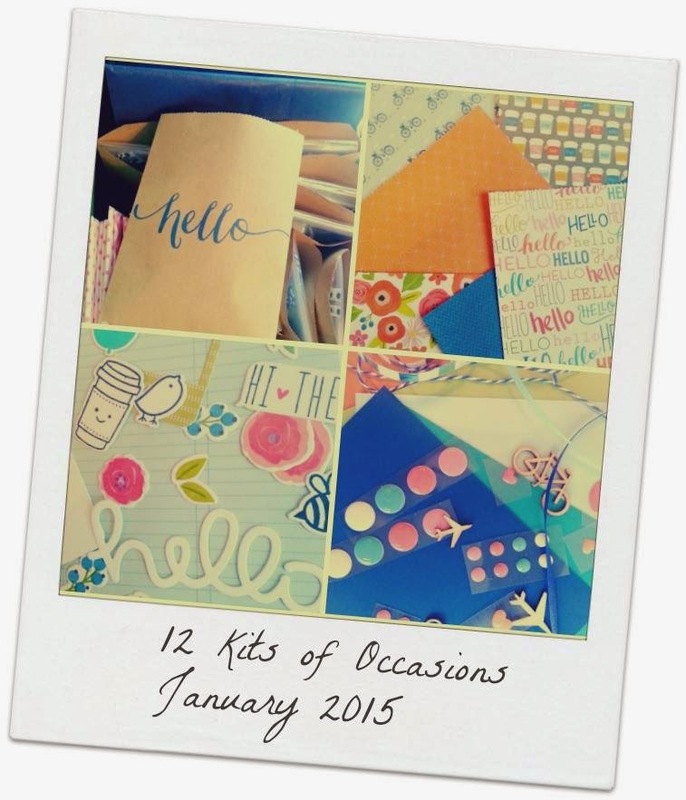 Time for the 12 Kits of Occasions January Edition! Amazing how fast the month of January has gone. This month Kelly is our hostess and the theme is A Happy Hello. She sent us a beautiful kit with gorgeous papers from Pebbles, cardstock, die cuts, sentiments and embellishments. I hope lots of supplies leftover. 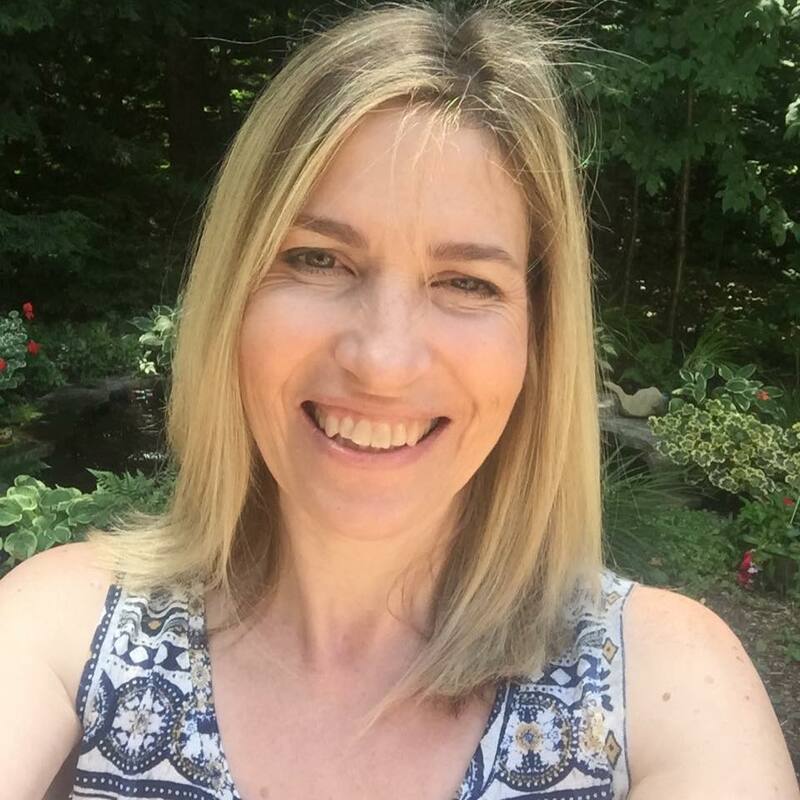 We are sad to say goodbye this month to Renee, the creator of the 12 Kits. Also departing the group this month is Kara. Both are taking a break to focus their attention to home and family. They will be greatly missed but the team as well as by our faithful followers. I have three cards to share today but have lots of leftovers to make so many more. What I didn't have were enough hours in the day! I hope to share some more with you soon! Most often when we send a card to say hello it is sent to a woman. This card has a more masculine feel to it, but could be sent to either a man or a woman. I am also submitting these cards to this week's Simon Says Wedneday Challenge - Anything Goes! A complete list of supplies for this month's kit can be found on the 12 Kits blog. Pop over to the 12 Kit blog to see a full list of participants and links to their posts. We have a surprise for you this month. Would you like to be a guest designer for our February kit? Details are on the 12 Kits Blog! Love all the bright,cheery papers Tracey. Fabulous cards! Ohhhhhhhh these are all gorgeous!!!! Loving the different "Hello's!"!!!! Really pretty, Tracey...can't wait to see more! Wonderful cards Tracey. I love the fun paper in the first one and your cute little scene on the last. Three very gorgeous cards Tracey! Each one is a CAS beauty! I hear you ...not enough hours in the day! I love every single one ! 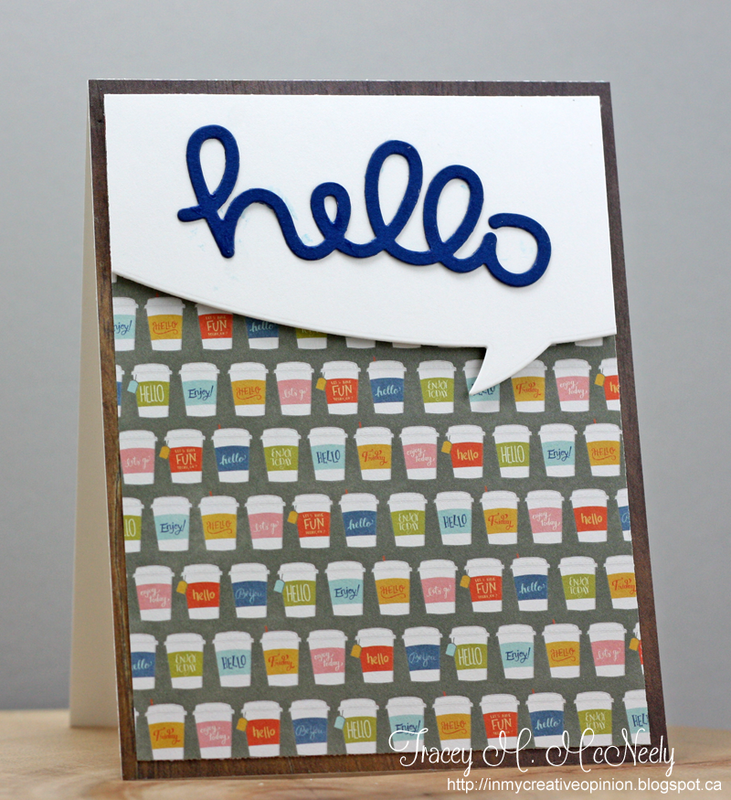 A very cheery set of "hello" cards! So bright and pretty! Tracey, I love them all :) I love how the first two really helped those cute patterned papers to shine...the coffee cup paper was definitely one of my all time favorite papers! Then the bird looking up at the balloon on the third? Priceless! These are awesome! Such happy cards! Tracey...love them all. So sweet and just so fun too. Love how you whipped up these beauties in record time. All of them are fabulous! Great cards, Tracey. Love the bright papers. All are fabulous, Tracey! Love your designs with the wonderful patterned papers. Your last card is so adorable--such a sweet scene. And I like that you colored the little bird. Fantastic collection of cards. I cannot believe what you come up with when you are almost out of time. Great way to use that coffee paper, which I hoarded, and I think my favorite with the little bird who stole my heart. Wonderfully cheery cards Tracey! Love them all. so cute! 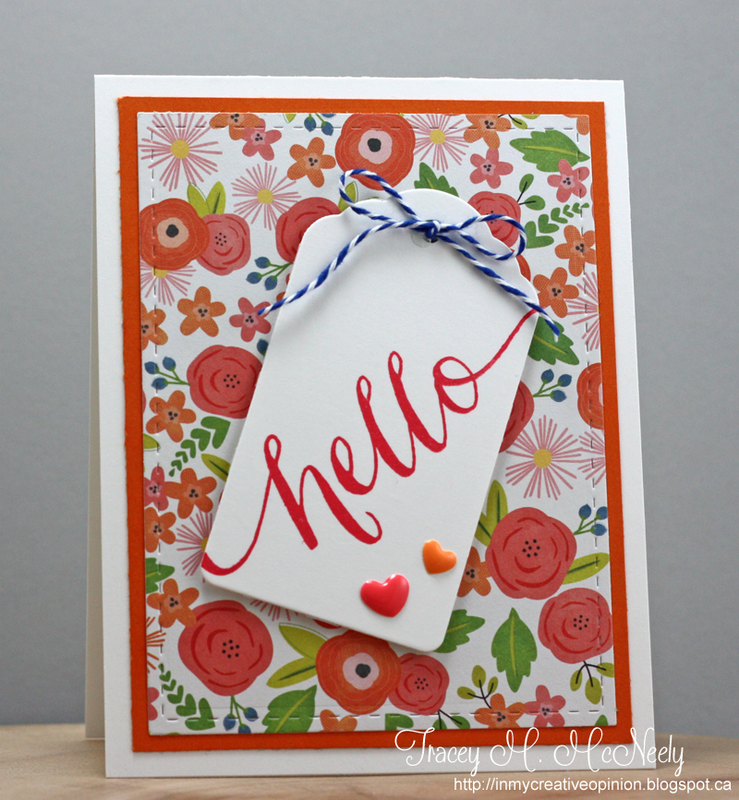 love that little hello sunshine card! Fabulous cards, Tracey! Love the first one with the speech bubble over that great designer paper. all so great! I love the papers and designs my friend! A trio of cards guaranteed to bring smiles, feelings of warmth, a sense of being 'important'. Amazing how a simple 'hello' card can brighten a day - and you've made three, so my day is triply wonderful! Eeek! I just love the bright, happy palettes here! Such perfect, little details, too! Fun, pretty, cute...love them all! They truly are all my favorites. These ar all so happy and cheerful Tracey!! I adore your second card, so pretty! OMG! Where to start? The little chickie holding the balloon? SMILES here!! The coffee cups with hello - like "are you with me"! And how you broke up the busy floral pattern paper with the white tag! Well done! All of them are just simply perfect and I love them!